Had a wonderful week with Hope Haven Guatemala this week. 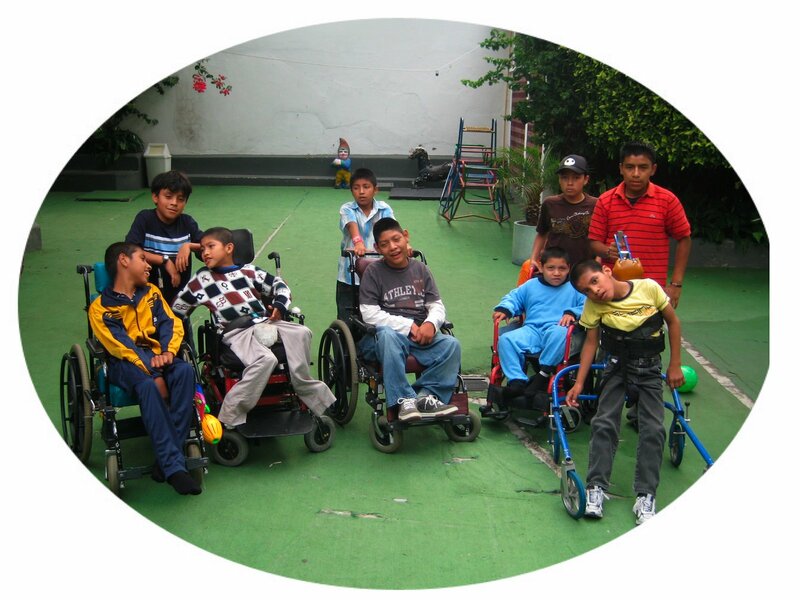 First 2 days of distributions at the Hope Haven wheelchair factory, where the kids came to us, and then we went to them on an overnighter and did a wheelchair distribution in Solola. 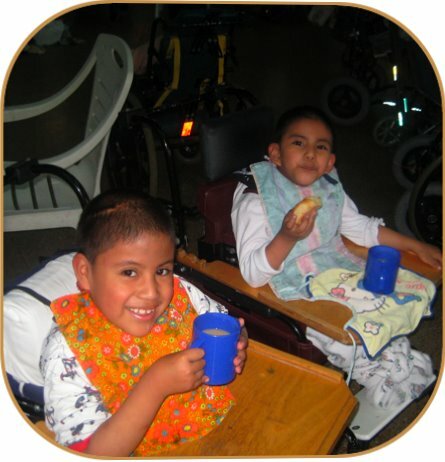 Thank you Hope Haven Guatemala for including 1 of my boys each of the 3 days. Thank you Esvin, Bryan and Calin for doing such an awesome job. I am very proud of you. I couldn't think of a better way to spend a Saturday. Today Marcos Ovalle, Esben, Elder Gomez, Reyna Ovalle and I paid their grandmother a surpruse visit. A few weeks ago someon came onto her property and cut several wires of the solar lighting system that we had given her a few months earlier. Today the five of us hiked in to her remote mountain home and repaired her solar lighting system. We also brought in some fried chicken and some other goodies and shared lunch with her. She was happy that now she no longer had to sit alone in her dark little cabin from 6:00 PM to 6:00 AM, but most of all I think that she was just thankful that someone remember to her and had come to visit. I often find that I don't have enough room in and on my car for all of the wheelchairs, food, and vitamins that I would like to take with me when I go on road trips, So today I purchase a small covered utility trailer for $250. I wish to thank my missionary friends Gary & Anita for telling me about this trailer, and also my new missionary friend Boyd for giving me such a great deal. Went to Miguel's house to celebrate his birthday last night. In the USA you get a spanking for your birthday. Here in Guatemala you get your face slamed into the cake. 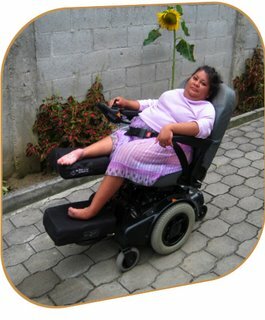 Four great days on the road doing wheelchair distributions with Bethel Ministries and Joni and Friends. Wide open field on the end of a dead end alley. I've been bouncing along in my car for several hours and no public restrooms for a hundred miles , Why do they have to post a sign like this out in the middle of no where? These signs need to be posted on every street corner of my town instead. AND YES I DID BREAK THE LAW. After all there are no laundry mats in 200 miles. The shirt that I was wearing said "IT'S NOT ABOUT THE WHEELS". I had just finished seating a very deformed little girl who I never did get seated the way that I felt was right. I felt that I needed to take a break so I walked over and picked up this little guy and just held him for about 15 minutes. His eyes spoke to me and reminded me that "IT'S NOT ABOUT THE WHEELS". Photos from last week, with Hope Haven Guatemala and Glonbal Mobility. 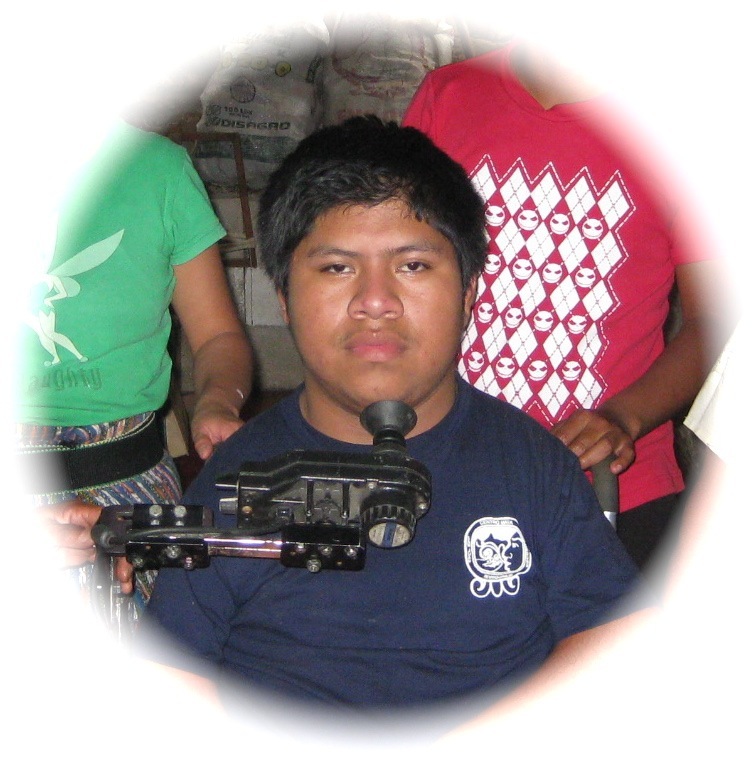 23rd - Please be in prayer for Chimaltenango Guatemala. This is the town where I live. Several people have been killed there in the past few days. Most have been tuktuk drivers (small 3 wheeled taxies) that have refused to pay extorson money to gangs, but now others are being targeted. Stores & Schools have been closed and this afternoon everyone was ordered to go into their homes and to stay there until notified that that can come out I am out of town on a Hope Haven wheelchair distribution but talked to one of my boys a few minutes ago and he told me that no one is leaving their homes. He heard that a Gang from Guatemala City may be coñing to our town to declare war on the Chimaltenango Gang. 25th - I talked with some of my boys on the phone last night. they told me people in town are allowed to be back out of the houses. however two more people in my town were murdered yesterdy. I should be back home later this afternoon. I will know more about what is going on then. 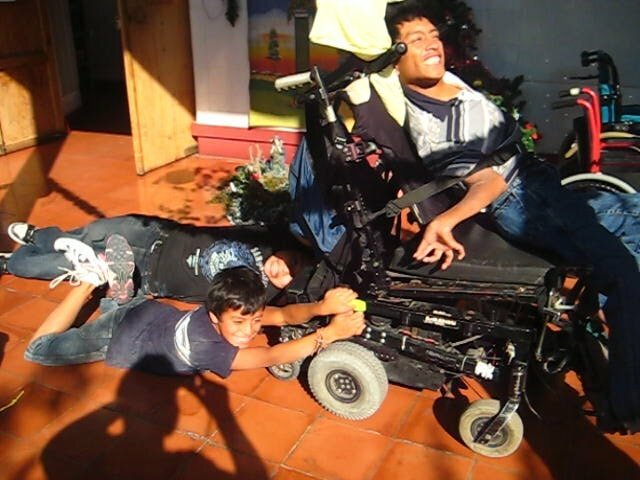 quick trip back to the orphanage where he tried to flip another kid out of his wheelchair and nearly succeeded. Now he and his wheelchair at once again tied to the metal gate where he spends most of his days. I am not giving up on this but I think the people at the restaurant will be relieved to know that it will be quite a while before he goes to lunch there again. ANOTHER GODINCIDENT. Day before yesterday Brayan Josue, Eduar Ovaiie (Esvin), and I headed out towards the coast to bring some food to a family who had not eaten in 4 days. 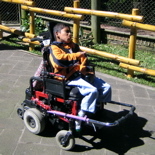 We figured that since we were heading out that way we just as well bring a loner power wheelchair to Sebastian a little boy who who had not been able to go to school for several weeks because his power chair was waiting on some parts. We also decided to visit a few other people who were in wheelchairs just to say hi and to see if they were having any problems. When turning off the main road to visit one of these families we noticed a rather elderly gentleman (perhaps 20 years younger than me) sitting at the corner holding a girl who appeared to be about 12 years old. She appeared to have CP and to be about 12 years old. I have driven this road often but had never seen them before so I stopped the car and the boys and I walked over to them. The man told us that the girl was his daughter and that she loved to go to the corner and watch the people that passed by. He said that he did not take her often though because it was so hard for him to carry her. I looked over at the boys and could tell that they were reading my mind. Within seconds Esvin was up on the roof of my car untying a wheelchair and Brayan was filling out the necessary paper work. 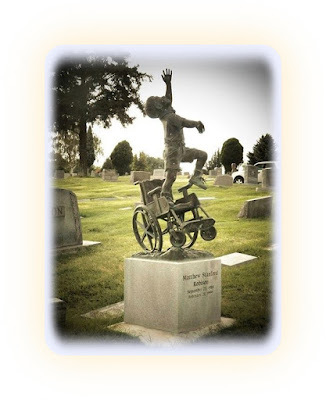 You see It just so happened (Godincidence) that last week I had picked up a specialty wheelchair from Bethel Ministries for another girl, but it turned out that she was able to use a normal folding wheelchair so the specialty chair was still tied to the roof of my car. As we fitted this girl to her new wheelchair her father watched in disbelief and even though his daughter could not talk she had no problem expressing to us how excited and happy she was. A half hour later we were all on our way to their home to show Mama her new chair. It was fun explaining to the family how god had orchestrated all of this and hoe it had not just happened. As we drove away they were still looking up towards heaven whit their arms lifted high. Most of the people that I fit into weel chairs are children. Today little old ladies out numbered them. This 80 year old lady in the first 3 pictures simply stole our hearts. The thankfullness and praise that she gave to God for providing her with a wheelchair that would get her outside of the house and into the fresh air was unbelievable. Thank you Margo, Alex and Kevin for your help. Thank you God for a wonderful day. Marcos, David and I are in Santa Rosa visiting a few of the kids that Bethel Ministries has Sponsors for school. 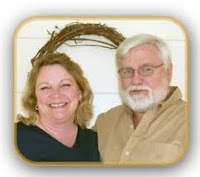 Byron in Picture #1 who"s been sponsored for may years now is totally deaf but Is very smart. He is an Orphan who lives in a house that a group from Patricia Duff's Church came down and built for them a few years ago, with his grandmother and Brother Edger (Picture # 2). Byron goes to school in the mornings and works for next to nothing in a scrap yard in the afternoon to help support his Grandmother. Byron has a sponsor however brother Edgar who is 12 who is extremely intelligent and has all kinds of potential may have to discontinue his schooling due to lack of funds. Edgar goes to school in the mornings but his afternoons and weekends are spent at the local Garbage dump sifting through the garbage hoping to find something of value so that he can continue his schooling. The problem i he usually manages to earn only a few cents a day and when he passes on to 6th grade in January his school fees will be higher. GREAT NEWS I JUST RECEIVED WORD THAT OLIVER'S SPONSORSHIP WILL BE GOING TO EDGAR) Please remember though that we have countless others that are without sponsors. (PICTURE # 3) is cousin Oliver who is 14. Up until this year Oliver attended school but after hi mother died a few years ago his enthusiasm for doing anything constructive has dwindled to ocasionaly going outto the highway and begging. He lives in a shack that is not fit for a pig with his alcoholic father. Right now Oliver does not want to go to school so he does not need a Sponsor. What Oliver and his father need is our prayers. 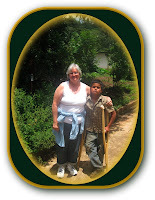 Oliver gets around on crutches as his right knee is pritty much fused and he has only limited movement in his left knee. Yesterday Marcos and I talked to him and asked him if he would like to explore the possibility of surgery on his knees. We told him that we were not at all sure that surgery was even possible but that if he wanted to get some X-rays of his knees tomorow that I could take the X-rays to my friend Dr.William Boegel who has a teem of specialists come in to Guatemala once a year to do foot and leg surgery and If Dr Will thought that there was a possibility that he could help Oliver we would pursue it from there. ( Wow I just reread that last sentence and the length of it has to be a world record.) I was a bit taken back when Oliver told me that he did not want to gt the X-rays tomorrow. He said that he wanted this done today. It was already 3:30 and I had been told that the nearest X-ray machine was at a national hospital nearly an hour away. I knew that our chances of getting there and getting and appointment were next to none but this young man showed an excitement and enthusiasm that I have not seen in him since his mother died. God is good! on our way we discovered a small lab in a town that was only 15 minutes away and we know have the X-rays. On our way back to where Oliver lived we picked up Byron from the Scrap yard and then picked up Edgar who had come home from the Garbage dump. Once they got cleaned up we my 2 boys, the 3 of them and I headed for Camperos for dinner. I wish that I could have taken everyone that was gathered around my car but was happy that we had restocked my car with Dried food and Vitamins to give them (Picture # 4) Marcos, David and I are no in a Motel room about a half hour from where the 3 boys live. Tomorrow we plan on visiting a few other sponsored kics. We had a good trip but it is good to be back home again. Sunday ended on a bit of a bitter sweet note. We got an opportunity to visit with with our friend Clare and see her new baby. Clare iheads a small association that does their best to help their fellow Guatemalans. She often visits families with us when we are in her area but having a 2 week old baby made it impossible this time. We were able to leave several cases of food and several bottles of vitamins with her. She will make sure that hey get to families that really need them. When we were just getting ready to leave Clare asked if we could take a few minutes to see 2 kids that had some small problems with their wheelchairs. Since she always goes out of her way to help us I could not say no. She was right about the wheelchair having small problems but failed to mention that we would have 3 or 4 kids hanging on us while trying to repair the wheelchairs. It ended up that these 2 kids live in an overcrowded orphanage and there were a number of kids that would have gladly gone home with us. It was fun visiting with the kids but very hard to say goodbye. I am now paying for being on the road so many days as I have spent the past day and a half catching up on paper work. This is not my favorite thing to do but I I see the light at the end of the tunnel. Another great day on the road. Tomorow after seeing a few more families we plan on heading home. 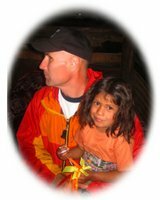 Garry and Anita Senesac for helping find a sponsor for her. 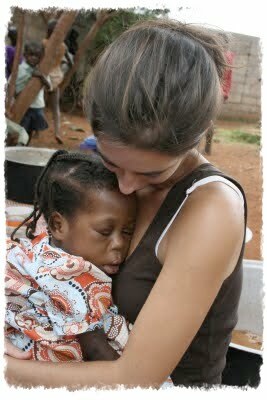 Proof that food, vitamins, prayer and a little love can make a huge difference. And yes the mother in the third picture is holding a real baby. Angle who is 2 months old was born with no arms and only one leg. Letty, the mayors wife has promised to get him into a doctor as he also has some urinary problems. 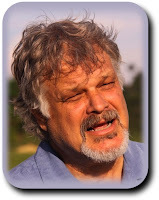 "Good Lord willing and the protests don't rise we plan on being back in Chimaltenango on Sunday." Daviid Eber and i are still up north of Huehuetenango Guatemala, near the border of Mexico. Today we worked with the wife of the Mayor of Democratica giving out food, Vitamins and Walkers. We tried to let the people here know that they are loved by us and by Jesus. Neat thing was that other than myself the teem was made up of all Guatemalans showing the love of Jesus to their fellow Guatemalans. I was especially proud of David who has joined me this trip. almost all of my Boys (I mean young men) are showing so much love for God and for their people. God is so good. After reaching. HueHuetenango last night we discovered that one of the towns that we drove through had been completely closed to traffic do to demonstrations until about an houre before we arrived there. 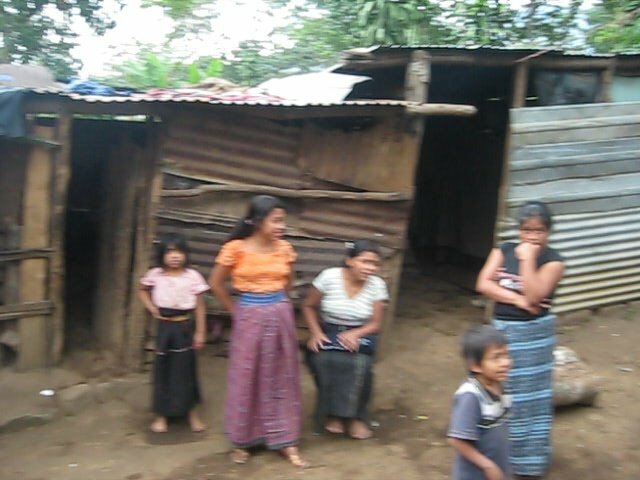 We had planned on going up to Democratic with the mayors wife this morning but she told us that it was also closed due to demonstrations so David and I moved our days around and visited families that were close to HueHuetenango. We were able to visit with several of our sponsored students and their families, give out lots of food and vitamins and give a four year old boy his very first wheelchair. 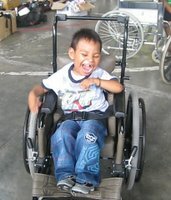 We also arranged for the young boy in this picture to have surgery so that he can comfortably wear a prostieces. As we were finishing up we got a phone call from the mayor's wife saying that the road to Democratica had opened up and tonight we are safely in a motel in Democratica. Please continue the pray for the people that live up in this area. Due to the lack of rain many of the crops are drying up and many people are going hungry. A few weeks ago Pat and I took a boat ride from San Pedro La Laguna to San Carlos La Laguna. We had lunch at a small restaurant where I asked if there was any way into San Carlos besides by boat. I was told that there was not. I had asked the same question before and had always been given the same answer. Why then we're there a few old peckup trucks in this village? I had little doubt that the hand full of 3 wheel Tuk-tuks could have been brought in by boat but doubted that the pickups had been brought in that way. Besides that I could see signs of what appeared to be a old road or trail winding down the mountain that surrounded the village. Last night I studied satellite pictures of the village and decided that there either was or had been some type of a road that led down the mountain to this village and decided that since Marcos and I were at the lake any way, that I would check things out. An hour and a half after leaving Solola Marcos and I found ourselves in San Carlos. By the looks of the so called trail and the looks on the faces of the people in the village I don't think that they have had any visitors by anything but boat in a long long time. Besides that it will shorten in a half hour job down to about two hours, but the trade off is well worth it.